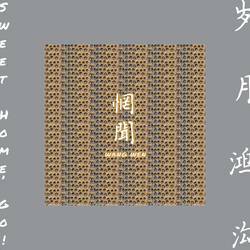 News › Records › SPB exclusive: Wang Wen's Sweet Home, Go! SPB exclusive: Wang Wen's Sweet Home, Go! Wang Wen - Sweet Home, Go! Wang Wen is set to release their ninth studio album and Scene Point Blank is excited to be hosting an exclusive stream of Sweet Home, Go!, officially out on October 7 (Pelagic Records, Europe) and Oct. 28 in the US. Written over the last three years, the new record was finished this January with producers Wouter and Lode Vlaminck and features a wide range of instruments delivering sweeping textures over seven post-rock tunes.